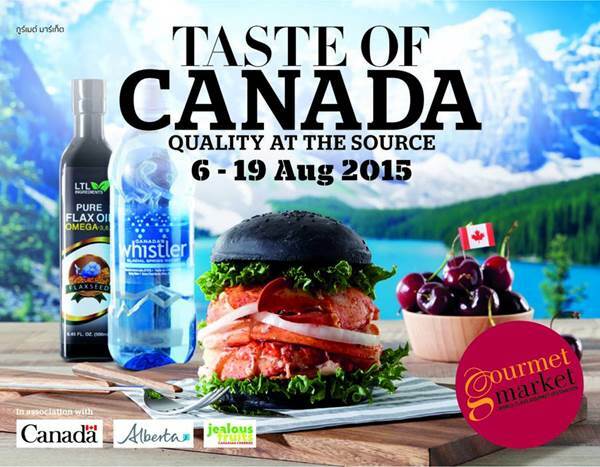 Discover the Canadian flavors at the Canadian food festival “Taste of Canada – Quality at the Source” in Bangkok! Taste of Canada will run from August 6-19th at the three high-end Gourmet Markets (Siam Paragon, Emporium and EmQuartier) in Bangkok. Bring your taste buds to enjoy a wide variety of Canadian products available including fish and seafood, blueberries, cherries, quinoa flour, premium-grade flax seed & oil, organic soy milk, almond milk, maple syrup, Whistler mineral water, Dare cookies, apple crisps, beef, smoked salmon, & Iceberg beer.